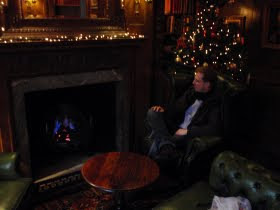 Thirsty Pilgrim: Resolution: If I Open a Pub, It Will Have a Library with a Fireplace. Resolution: If I Open a Pub, It Will Have a Library with a Fireplace. It's luck of the draw: What's the nearest Podge pub near our hotel? * Well, we're just north of Hyde Park, near the Bayswater tube station. Let's see... Looks like the Victoria. Oh. I think that's a famous one. We have a look upstairs and realized we should have been drinking up here all along. One room has decor saved from the Gaiety Theatre, a long-demolished London institution. Or so I read. Then there is the library room. Books. Comfy chairs. A fireplace. Just the spot for a goblet of ESB and some contemplation. Look, there's Yvan now. Pondering, pondering, pondering the lack of a beer in his hand. 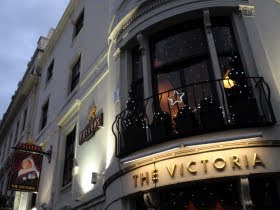 The Victoria is convenient to those of you who come to do touristy things in central London. Address: 10a Strathearn Place, W2 2NH. Go on in and warm yourself. 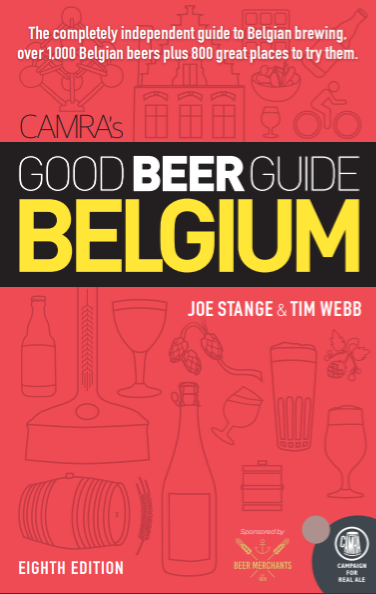 *Podge pub being the universally accepted shorthand for any of those found in the incredibly useful Around London in 80 Beers, by Chris "Podge" Pollard and Siobhan McGinn, available from Cogan & Mater. Is This The Best Train Beer Ever?